With Fall officially here or should we call it PSL season (you never know, they may change it!) it’s time to stock up on some fall styles. I’m putting together a mini-series STYLE FOR LIFE that will cover all the Fall Styling Tips that are important for the season. There always seems to be a lot of festivities this time of year and I want to make sure you have a playful fall outfit on hand that won’t disappoint! From trips to the Pumpkin Patch, Football Games or Party’s, Hayrides, you name it this casual chic look will work for it! I also love that you can layer it when the temperatures aren’t warm enough. I’ve taken the work out of it and selected some fantastic options that you won’t want to pass up! If you need assistance with finding a look for yourself send me a note. As a Personal Stylist, I love helping people look and feel their best. I’ve also got a part two also…what to make for these festivities and how to create an easy-breezy Halloween themed table! Read about it here! Bring on the Candy Corn! 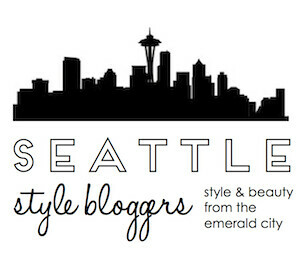 A Seattle based Personal Stylist + Lifestyle Blogger with Midwest roots. Christina is also a Wife, Mom of 2 boys, and has the sweetest fur baby! Here you will find out about her personalized Styling Services as well as all the detail of her favorites in fashion, fitness + health, beauty, home, eats + treats, and travel. Who’s Ready to ‘JUMP’suit into Spring? to receive updates directly to your inbox.